Just received my Watch City order, and smoking Burley Slice right now. This blend is amazing, very impressed. A pound came in 5 huge crumble cake half inch flake things. I should of tried this a long time ago. Also Old Black Magic, and The Churchwarden smell amazing too. Same presentation huge crumble cake flakes. Im smoking a MM apple Diplomat. It may be headed to the box of pipes that don't get smoked. I call mine "the box of misfit pipes"
CAO "Moontrance" in the Fischer Poker. 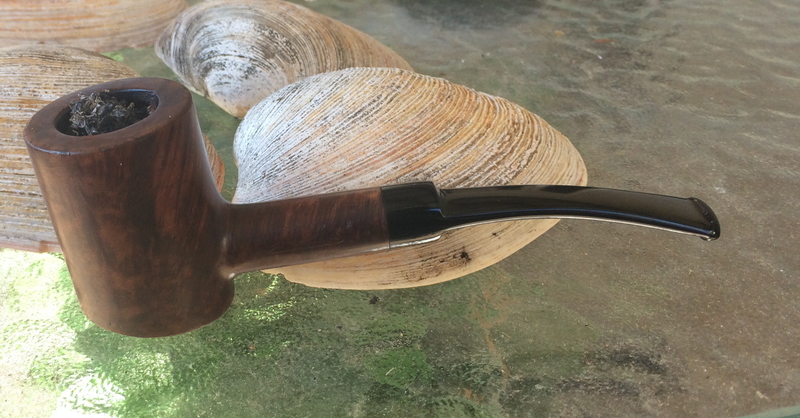 The tobacco is light & fruity making for a very pleasant smoking session. Watching the Hummingbirds while I smoke. I really dig that stuff. Good enough to smoke as a standalone.